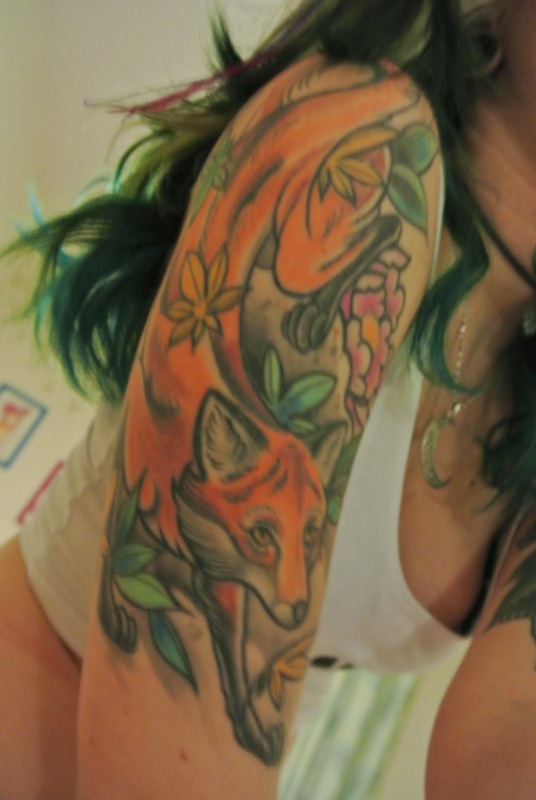 Can I just start by saying that its incredibly difficult to take pictures of your own tattoos, like I must of taken about 67 blurry fox pictures until I managed to get some half decent ones. Kinda gave in in the end and asked Jim to give me a hand. But then I wasn't in control of the picture which I don't really like, I have an idea in my head of how I want it to look. Pictures need to be interesting not in just the subject and what they show but in the way it's taken and how it's shown I.E angles, it's like Pokemon you gotta catch them all. [ Yes I went there]. Anyway above is my pride and joy Eveie ^_^. Eveie was the first BIG tattoo I acquired back in January 2013. The incredibly tatlanted Joel P Blake at Best Western Tattoos in Swindon slogged away for 9+ hours in one session to get this complete. If you haven't already guessed from my various screen names and social medias [FOXXTAILZ] i'm hugely hugely into the fluffy orange cuties. And with Eveie still fresh, the week after I snapped up the chance to be tattooed by one of my favourite ladies, Cassandra Frances, then at End Times Tattoos in Leeds [whey] At the time there was a huge waiting list so I managed to snag an early spot. 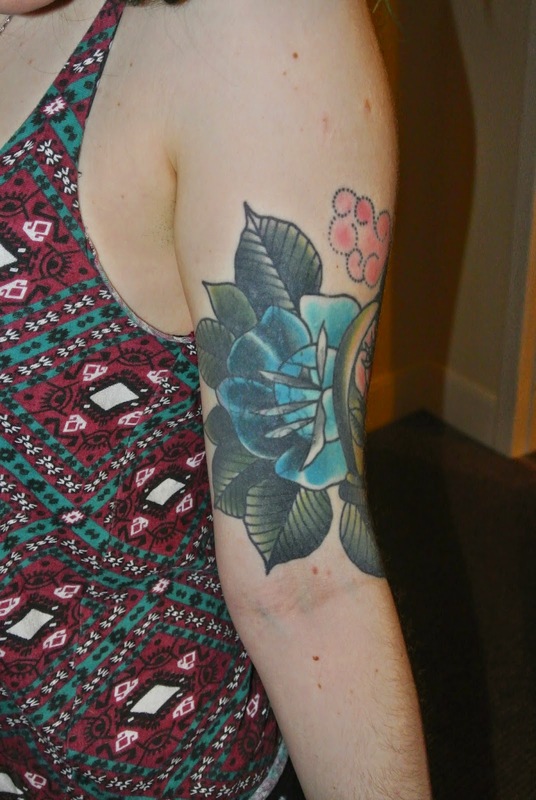 The dark parts of the rose actually cover up a flash piece bluebird I got just after my 18th birthday. Mind my chubz are palz. I remember being so happy when both were finally free of scabs and completely healed. Nothing worse then two unhealed big tattoos on your arms restricting your movements for a good few weeks. I'm in the middle off trying to fill up my left leg, but anyone who has [decent] tattoos will know that they don't come cheap ya'll. The owl was done 3 years in June coming up by JJ at Awake Arise in York. Not his design, that was drawn up for me. I made a vow to myself to not get any more tattoos until that was finished 3 more later and it's still not complete. Now anyone that knows me will know my true love and obsession are Paramore. I usually blag the to put it loosely ''DJ's'' head in Kans [Selby's local club?] to put it on, to many a chavs disgust. Thats right we're still teeming with the Burberry wearing turds. Hence the ''Still into you'' heart By Hannah Clark at rain City Manchester. 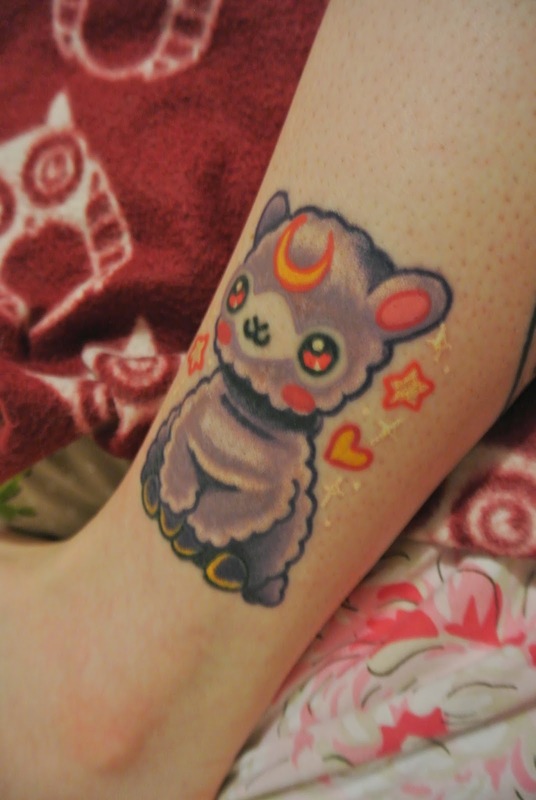 This little cutie I won recently on a Rachel Baldwin Alpaca instagram tattoo compertion. I couldn't believe my eyes when I got the notification and practically leapt of the sofa screaming. I had to get James to double check it was me. I then proceeded to for the few weeks until I got it randomly shouting to James ''I WON A RACHEL BALDWIN TATTOO!'' Please note the sailor moon theme ^_^The same day I got my kawaii pizza slice that Rachel's husband, Nick did for me and Jim, couples tattz yo. Basically our relationship was founded on a strong bond over pizza and Hellmans mayo. Now if you got to the end of the post, you're still reading perhaps even loosely interested well done you. I ramble ramble ramble on and this is lengthly. I get a lot of my ''tattoosperation'' from IG, my feed is just filled with mostly the tattooists I love and there work. Matt Cooley at Rain City manchester etched these cute Swedish trolls onto my leg permamtalty. 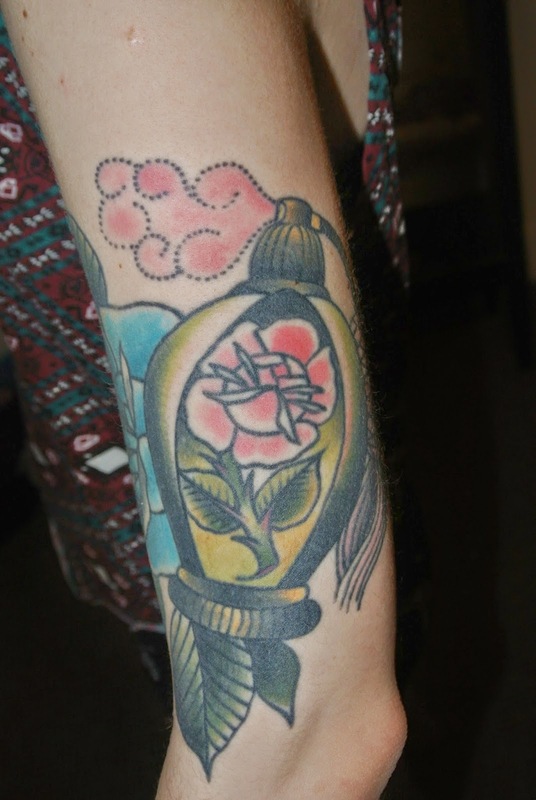 I love the Tove Jasson illustrations, why not have one on my thigh forever? Her work decorates most of our house much to James dismay [he's not so fond of the ''space hippos'' as he likes to call them] I feel tattoos don't really need meaning or have to be for someone/thing. Just have fun with it with a DECENT tattooist. I have other tiny tattoos that litter my body from my fingers to my feet star tattoo an all [I was 16 give me a break ha! ]I have countless ideas of what ima get next. Until next time palz.